Two minutes. That’s the amount of time fire experts agree that people typically have to escape a burning home. This is why having a working smoke alarm is so vital. Without this warning system, your odds of surviving a house fire are greatly diminished. In fact, in the US, seven people die each day, and in Canada, eight die a week in home fires*, most often in homes without working smoke detectors. Children and the elderly are at highest risk of perishing in a home fire. Many of these deaths could have been prevented by having working smoke alarms. According to the American Red Cross, having a working smoke alarm reduces your chance of dying in a home fire by nearly half. 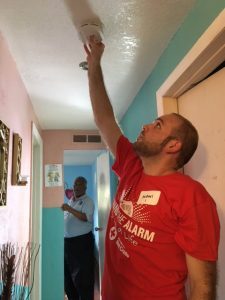 That’s why the Red Cross, together with fire departments and community volunteers, launched its Sound the Alarm program and committed to install 100,000 free smoke alarms to homes in at-risk communities in more than 100 cities throughout the United States. 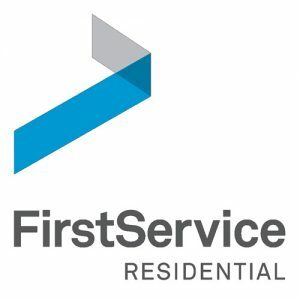 On May 2, 30 volunteers from the Dania Beach headquarters of FirstService Residential, joined by local Paul Davis Restoration colleagues, participated in the initiative in Miami’s Brownsville neighborhood. 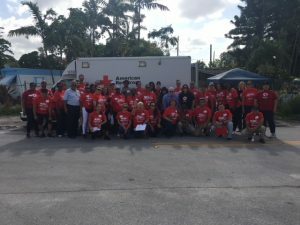 Working in teams of three-to-four people, they visited residents to educate them about the importance of fire safety and prevention, install smoke alarms and record which addresses received one so the Red Cross can track the effectiveness of this program. “This was such a rewarding event for our associates,” said Ophelia Casey, director, Human Resources. “Going door-to-door, and being invited into people’s homes to perform this important service for them is an experience I’ll never forget. 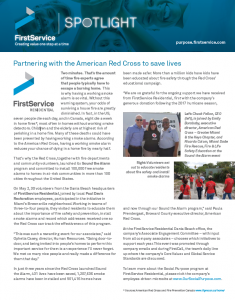 We met so many nice people and really made a difference for them that day.” In just three years since the Red Cross launched Sound the Alarm, 431 lives have been saved, 1,207,636 smoke alarms have been installed and 501,416 homes have been made safer. More than a million kids have kids have been educated about fire safety through the Red Cross’ educational campaign. 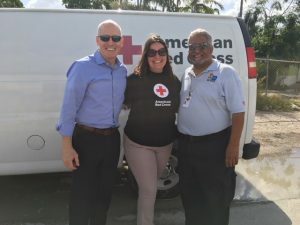 “We are so grateful for the ongoing support we have received from FirstService Residential, first with the company’s generous donation following the 2017 hurricane season, and now through our Sound the Alarm program,” said Paula Prendergast, Broward County executive director, American Red Cross.